● Bowyer started 15th and finished eighth to earn three bonus points. ● Initially reported his car was good but just stuck in traffic. ● Climbed through the field, moving into 10th by lap 26. ● Pitted for four tires and fuel during the lap-35 competition caution and returned to the track in 22nd. ● Raced back to 10th by lap 42 and finished the stage in eighth. ● Bowyer started seventh and finished seventh to earn four bonus points. ● Crew made adjustments during the stage break, but Bowyer reported handling difficulties on the flat oval. ● Bowyer held his position but couldn’t gain any spots. He said the rear grip of his car wasn’t good enough to run the high groove. ● Crew said Bowyer was about third quickest each lap as the stage drew to a close. 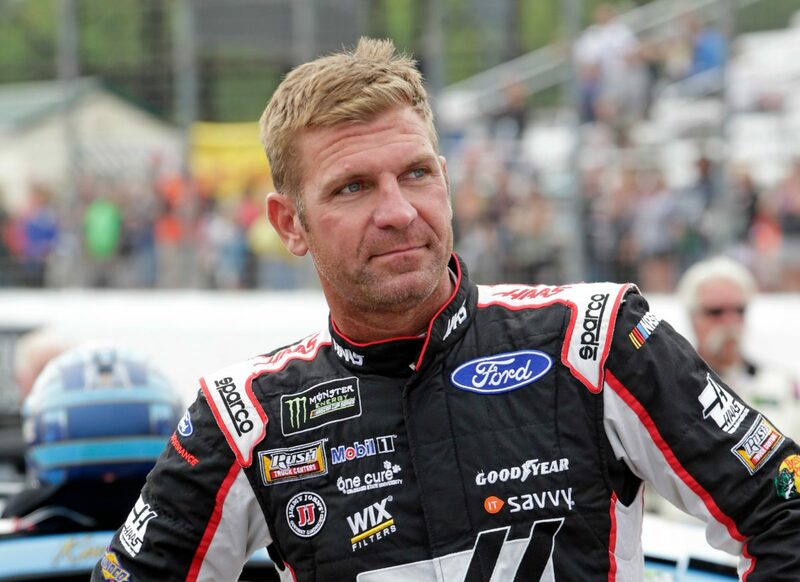 ● Bowyer started seventh and finished 35th. ● Held his position in the early going of the stage, running about 12 seconds behind the leader with 80 laps remaining. ● Reported he had a left-side issue that caused the car to bounce and bottom out on the track. ● During a routine stop on lap 223, Bowyer was black-flagged for pitting outside the box and forced to serve a one-lap penalty. ● Bowyer returned to the track in 25th two laps behind the leader. ● A few laps later Bowyer hit the wall, ending his race and bringing out the caution flag. ● Crew later determined the left-rear shock mount broke on the No. 14. ● Kevin Harvick’s victory in the Foxwoods Resort Casino 301 marked the 52nd overall win for Stewart-Haas Racing (SHR). It was the organization’s 47th points-paying Monster Energy NASCAR Cup Series win and its fourth at New Hampshire Motor Speedway in Loudon. ● This was SHR’s 11th Monster Energy NASCAR Cup Series victory with Ford. The team won its first race with Ford when Kurt Busch captured the 2017 Daytona 500. ● Harvick’s margin of victory over second-place Kyle Busch was 1.877 seconds. ● There were seven caution periods for a total of 31 laps.